Securing files, data and other important documents is a must for any business. This is your bread and butter thus it is just right to protect it at all cost. Losing data is a nightmare no business owner wants to experience. It is highly recommended to consider cloud storage. In this article, we will discuss the top reasons why every business should consider using cloud storage. First of all, what is cloud storage? Cloud storage is a model of computer data storage in which digital data is stored in an off-site storage system usually maintained by a third party. Instead of storing information on your computer’s hard drive or any local device, you save it to a remote database. So here are the advantages and reasons why you should consider cloud storage for your business. Easy access to your files – do you ever experience the agony of accessing your files from your work computer while you are on a vacation? The worst part is when you need a specific file that is only stored locally in your computer. With cloud storage, you no longer need to carry around a hard drive or send big files to your email so you can access them while you are away from your office desk. 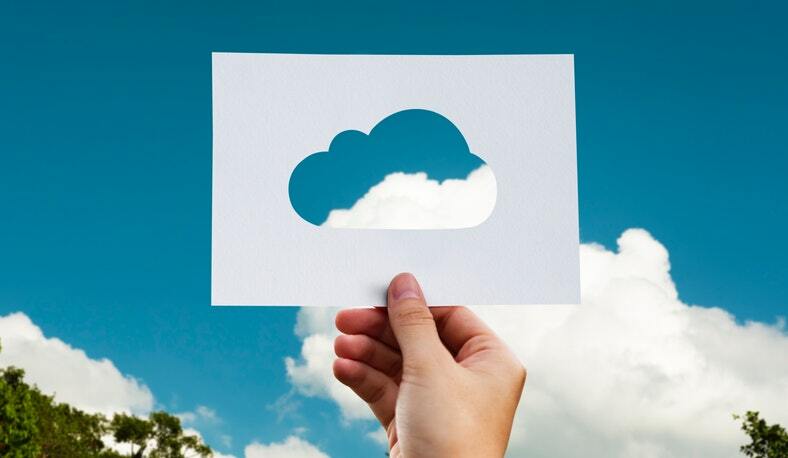 With your files stored in the cloud, you can access it any time using any device, as long as you are connected to the internet. With this, you can do your work even when you are out of the office. Allows collaboration with members of your team – it is truly annoying to send dozens of emails just to share files with your team members. Sometimes, you even need to send big files which can take forever to upload and download. Well, with cloud storage, you can easily send them the link where the files can be accessed and they can open or edit it. The best part is that they can save changes that you can see real-time. There’s no need to send emails back and forth. Cost efficient – cloud storage eliminates the costs of using external hard drives and other storage devices. There is also no need to hire many people that will monitor your servers since your files are stored in a secured storage system maintained by the third party. These third-party services usually have different packages depending on your business needs. Space storage efficient – do you always receive warning that your laptop or computer storage is almost full or that you can no longer save a screenshot or download a file? It is truly a hassle. Well, thanks to cloud storage, you no longer need to delete files every now and then just to free space from your devices. Security and recovery – with good storage solutions, data is encrypted in flight and at rest that unauthorized users are unable to access the files. Also, you are sure that your data are secured against natural calamities or human error like someone accidentally wiping out your drive. Are you convinced now that you should start using cloud storage? You might want to check out cloud storage of Vodien Australia. You can choose the package that fits for your business. You will surely be able to sleep better at night knowing that all your important data are secured. 5 Tips for Sending and Receiving Data Without Fear of Having It Intercepted by an Unauthorized Third Party Laser Hard Drives on the Horizon A CPU that Stores Data Data Stored Optically Offers Nearly Limitless Lifetime Can You Restore Data from Your Web Cache After It Has Been Overwritten?